Is Technology Plays An Important Role in the Invention of Telescopes? Without a doubt, the telescope is a shifting piece of technology that helped lots of people to have a better understanding of cosmology and astronomy. From a small light and simple collecting telescope to a big multi-mirror telescope, they have helped people to collect more details about the universe at a deeper view as well as see the space. As technology enhanced, our understandings about light also improved. As a matter of fact, many people realized that human eyes are only capable of collecting a very small amount of light. In response, with the help of technology, inventors invented telescopes that can perceive gamma radiation, x-ray, ultraviolet, infrared, microwaves, and even radio waves. 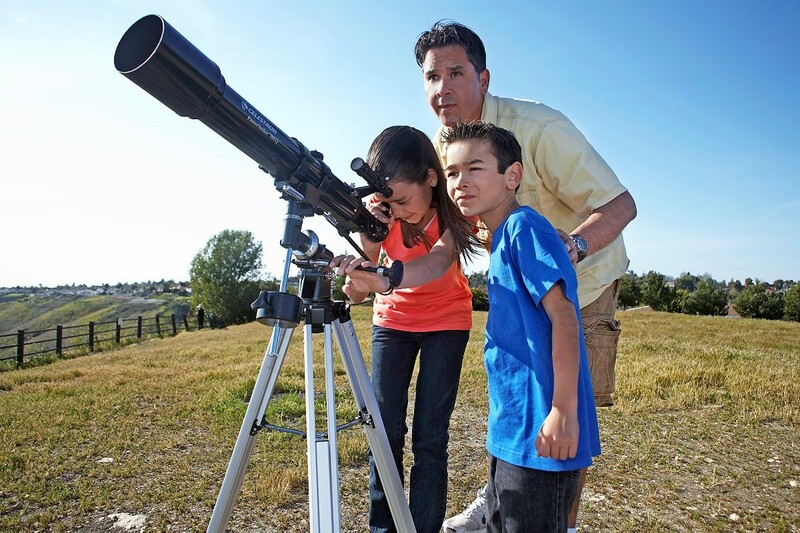 Due to its usefulness, telescopes become more and more popular not only for astronomers but also to other people and even to children. In fact, there are now lots of telescopes on the market and take not some of them have innovated features. Indeed, astronomy is an interesting hobby, especially now there is a lot of equipment that you can use the whole universe in a bigger picture, but the big problem is, finding the best telescope that meets your needs can be a daunting task. With the various terminology, names, and of course innovative features, it is essential to understand the product you are fascinated in before making a purchase to make sure you’ll be able to make the most out of it. Looking for beginner telescopes for children or adults, then a refractor telescope is worth considering. This type of telescope is designed with a large lens on the front. Plus, refractor telescopes replicate the light back to the eyepiece. Also Checkout Why should every dog owner have a wireless dog fence? Since they are designed for beginners, these telescopes are very easy to use. Also, they can be utilized to see objects on the Earth and for astronomy. Either way, refractor telescopes are the most affordable type of telescope. However, they do not have the clearest view because don’t come with more advanced features. If you are really fascinated by astronomy then having a reflector telescope is a good idea. This type of telescope uses a mirror to collect light which is sent over the eyepiece. With reflector telescopes, you cannot view things on Earth, but it can give you a clearer picture especially if you are viewing pale things in the sky. Also, reflector telescopes only require minimal maintenance. This type of telescope is a bit expensive. But one thing is for sure, compound telescopes let you see the object on Earth and space clearly. Even so, this telescope is highly recommended to people who are interested in astrophotography. Furthermore, its lenses and mirror are protected with a sealed tube. There is no doubt, the telescope has become an essential instrument particularly to astronomers. But without the help of technology, we will not be able to see the whole universe in detailed. Nonetheless, now that you already how essential and useful a telescope is perhaps you are already planning to get one. Well, that is a good idea, however, make sure to buy a model that suits your needs. What is Spotify Premium APK and How to download it?